The ACCF Annual Dinner 2011 was held on 22 October 2011 at the Marigold Restaurant and was attended by close to 400 guests.We were pleased to welcome as the Guest of Honour the Premier of New South Wales, the Hon. Barry O’Farrell. Mr O’Farrell showed his immense appreciation for charity organisations, like ACCF and similar bodies, which voluntarily provide services to those in need. 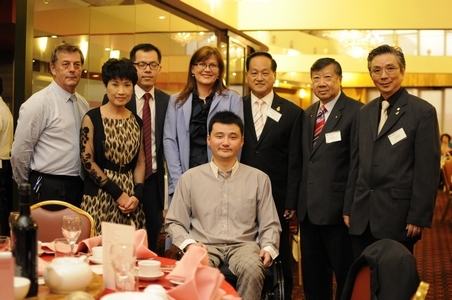 At the Annual Dinner, ACCF donated $10,000 to each of the Victor Chang Cardiac Research Institute in acknowledgment of its 20th Anniversary and to the Leukaemia Cancer Research and Support Fund for their research expenses. A further $16,000 was raised for these charities during the course of the night. Click to view photos of the night.